Hibernian FC is a football club that in recent times has rediscovered and unearthed overtones of its original purpose in the community it represents. That early initial purpose, born and conceived back in the 1880s, is one of the cornerstones of why I love this club so much, that together with family tradition, truth, loyalty and the glue it embodies to me. Christmas time should be one of joy and yet sadly, we understand that it can be distressing, lonely and heart-breaking for many, many people. 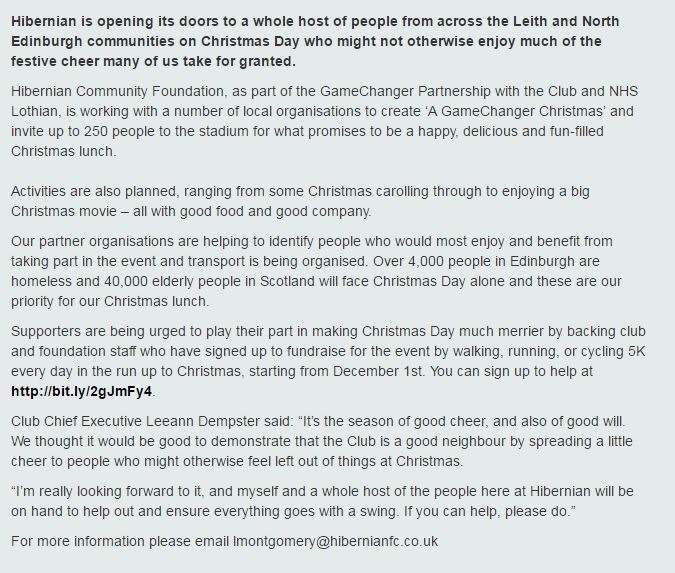 I am happy to read today that my Hibs are opening the doors of Easter Road on Christmas Day to those in need, providing up to 250 people a Christmas lunch, carols, a Christmas movie and other festive activities. How proud can you be? Perhaps no more proud than I am at this precise moment at reading this announcement. You know what too? I have come to expect no less of them. PERHAPS UNSURPRISINGLY, Hibs surrendered yet again this afternoon, this time at Easter Road to Falkirk by a goal. This sees the club in the invidious position of being placed third bottom of the Scottish Championship, albeit at a still early stage of the campaign. It really isn’t looking good. The reality is that a couple of poor results with an already less than sparkling start to the season are most likely to see Hibs drop deeper into the doldrums and the gap between fans and club widening further. A dangerous factor that seems to remain unconsidered by the club. Seemingly, they refuse to act. It’s clear that the only way sensible route forward for the club is to buy better quality players. This is not optional, money has to be found, but instead of that the supporters are fed excuses – while still paying Premiership prices for the privilege of owning season tickets to watch a low-grade of football. If the quality players out there exist – and better quality players certainly do – then why are they not signed up at Easter Road already? Quite honestly I don’t believe poverty pleas in spite of a lowering of status, what I see here is the old Hibs/Petrie biscuit tin mentality. Undoubtedly, there have been good, healthy changes at the club since last season. It’s a pleasure to hear that Hibs are reaching out to the community and making forward-looking backroom changes, unfortunately though, this is a football club with the main aim of actually winning football matches. This appears to be considered a side issue at Easter Road – meanwhile the team has staggered from one disaster to another and now slumps alarmingly towards mid-table Championship obscurity. I’m afraid that I now don’t want to hear or read about this or that off-the-field ‘initiative’. Nor do I want to hear about anything else other than firstly, how this team is going to be strengthened significantly and secondly, when an agreement, hopefully one based on a fan-ownership model, is going to be put into place to relieve this club of its current ownership. Well, here we are again. Hibernian FC is again a rudderless ship once more after just sixteen months with manager John Hughes being allowed to leave by ‘mutual consent’. In fairness the club had to act to counter an appalling recorded of just four wins in thirty-three games and nowhere would you have heard that proclaimed louder than from me. So now the usual lottery of choosing a new manager at Easter Road ensues and one wonders at the selections procedures that are used by Chairman Rod Petrie and his cohorts. One thing is for sure, the method of choosing a former playing hero of the club will not necessarily wash. I see his name coming once more into the reckoning in various places and thought I’d just comment. Originally at Forest he was a somewhat reluctant caretaker manager being thrust into the job to hold the fort after Megson left, after around ten years being a quite happy reserve team boss. At this time he was slightly taciturn with the media and tended to leave that stuff to his co-manager, Frank Barlow. It worked well and Forest played some great football before and had great results before Colin Calderwood was appointed manager (surprisingly to many). He reverted back to his former role as reserve team boss before taking the manager role at Notts, who were ultimately enshrouded in the media circus that was Munto Finance and Sven-Goran Eriksson. The ‘millions’ that were promised for the club were found to be built on sand but in the meantime, Notts saw fit to part company with their relatively low-profile manager and acquire someone more ‘fitting’ with their new-found ‘prestige’ and image. Apparently Charlie is reportedly is happily continuing his career at Ipswich as a coach and I’m not sure, considering, his past experiences, how much he wants to dip his toe in the water again. He has been reported as as admitting to being a big Hibby and offered in the past that he’d love to manage at Easter Road one day though. I like Ian McParland. i think he’s a real football man and loves his team to play with flair and pass the ball on the ground. At Notts he systematically went through the whole club top to bottom and repaired what had become a joke and a shambles of a club that nearly went out of the league. What you see is what you get with this guy – he doesn’t talk a lot compared to some but he talks straight. All this wasn’t enough for some Notts fans who were split in opinion about him at the end. I think they had had their heads turned with talk of the likes of Roberto Mancini (yes, I kid you not!) coming to manage the club. It was a very silly time on that side of the Trent. The main criticism you’ll hear Magpies fans make of McParland is that he ‘couldn’t change a game’ – does that sound familiar? It may be a fair criticism but for my money it’s becoming one of the great clichés of modern football, we hear it at a lot of clubs. Another factor is that Charlie is most definitely a Hibby – a Tranent lad who supported the club when he was younger but doesn’t shout about it a lot. That once was a factor in his favour but from what I hear nowadays wouldn’t necessarily be now – quite the reverse for some in fact. 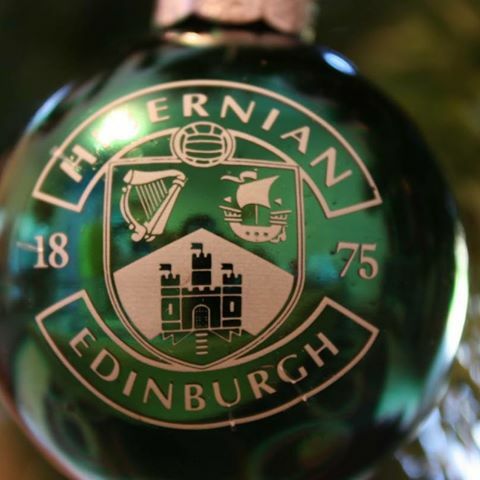 Hibs fans – make your own mind up! ‘em’ type display in tomorrow night’s second leg but I’m not so sure. I feel I’ve seen this type of attitude on many an occasion previously and doubt it’s worth, romantic though it sounds. It’s clear that Hibs need to play with a lot of drive, passion, determination and tempo to give them any chance at all but I sometimes think that the ‘throwing the kitchen sink at them’ approach is outdated and limited. Many times I have seen Hibs, other Scottish sides and in particular the Scottish national side adopt this and ultimately fail. It’s fine whipping players into a near-frenzy before they step out onto the pitch, and Scottish football is particularly adept at employing this tactic, but rarely does it seem to me that this momentum can be retained throughout a game. In the case in point here, if the ‘early goal’ that people say is crucial to Hibs doesn’t materialise, heaven forbid the opposition score on a breakaway, then it can be difficult to find a Plan B from there, when the wind has been taken out of the sails and the early huffing and puffing has subsided. I’m just wondering if a more measured approach would be more appropriate. For Hibs to play their football, keep the ball and build up some momentum and pressure. I think too much emphasis as has been placed on the ‘early goal’ could actually serve to frustrate the players and distract them from their game if it doesn’t happen. I’m quite sure the NK Maribor boss will have drummed it into his players not to concede a goal early and that this will be their first major objective of the night. Hibs have ninety minutes to score three times and take this tie further. They’re going to need a little patience in order to surmount this huge task facing them on Thursday night. Good luck to the men in green jerseys. We’re going to need it. This is an article reproduced from my contribution the the www.hibs.net series Quote/Unquote. The series began as a collection of short interviews with famous Hibs fans in the public eye and is now continuing by gathering contributions from those of us who use the site and it’s forums to chat and exchange views about the team we love. It’s a great and long-established site, one that I take a great pleasure in adding a small contribution to. I’ve had a lot of fun and interest there over the years. More importantly I’ve made some wonderful friends. 1) OK, before we start, it’s our round, what would you like to drink? I’d like a very large Peroni please, thank you kindly! Generally I like the lighter beers such as Italian brews and Sol – that type of thing. 2) What is your first memory of Hibs? 3) Can you remember the first game you attended? Yes and no. I remember the first time I went but not who it was against. Dad and I walked part of the way from Musselburgh and I remember vividly walking by the docks at Leith and sitting watching the boats. Of course, like many others, my ‘Christening’ was up on the old huge terrace and what an experience that was for a youngster. The players seemed tiny from up there but the atmosphere was terrific and probably one of the big reasons I became a died-in-the-wool Hibby. I was truly one of those five-year olds ‘sitting high up on daddy’s shoulders’. 4) Who is your favourite player ever? For Hibs it was always Joe Baker, though in unusual circumstances. I wasn’t of age to see Joe at his magnificent, dynamic and electric best in his original days at Easter Road but with my family moving to here in Nottingham not only was I brought up on tales of his exploits but was also able to witness them first-hand at the City Ground in Nottingham in the 1960s’. He had a quite an effect on me as a youngster as he did everyone who watched him I think. 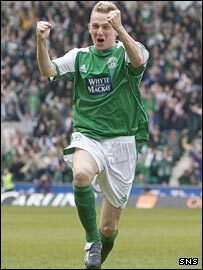 I do have a non-Hibs player who is definitely my all-time football hero. A player not unlike Joe Baker in some respects in Denis Law. What a forward pairing they must have made at Torino! 5) Who is your favourite current player? I always go for highly skilled players and until very recent times I was a big fan of Beuzelin who I thought was a tremendous and very classy footballer. 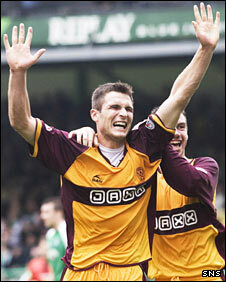 Of the current team I’d have to go for Derek Riordan. He’s so atypical of what Scottish football is about these days, having a lovely soft touch on the ball. He strikes a ball with either foot better than most too. Marry these skills with a predatory instinct around the box and you have the sort of player I would pay my admission fee to watch anytime. Not that long ago! It was March 18 two years ago at Hampden Park to watch the Green Jerseys bring home the CIS Cup. I’ve never been in such a great atmosphere at any Hibs game ever. All around me grown men were weeping, me included. It was incredibly emotional and was just one of those days that served to repay so much of the hurt over the years for past failures. On a special note I was thinking about my auld fellah a lot that day and I have realised since then that many other fans had similar thoughts and emotions towards Hibbies no longer with us. A wonderful, perfect day in every way. 7) What’s your personal highs/lows following Hibs? The answer to question six would have to by my highest high supporting the club so that’s an easy one to answer. On the negative side it was the general malaise under Bobby Williamson that hurt me a lot to see. I remember after one particular heavy beating by (I think) six goals I heard the comment of a friend who quoted that he had ‘just been watching my club die’. That summed up that era for me. There seemed no hope, the football was awful too and that’s a big issue with me. I really feared for our club at that time. After saying all that, the truly worst time for any Hibby who had to go through it were those dark days of the takeover bid. I read it and was totally astounded – I just couldn’t seem to focus on the fact that the club I love and had been brought up with may be no more. I actually even get a little choked thinking about it now. 8) Is there any player who you thought would have made it to the top, but didn’t? Not exactly but there have been a few who could have done so much better I believe. 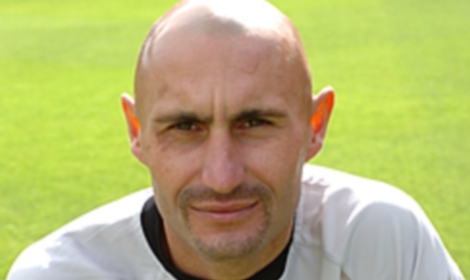 Most of those that appeared to fast-track themselves Westwards for example such as Kenny Milller. At a very high level I thought that Alex Cropley should have been a Scotland regular for a long time. Having said that he did have a great, if somewhat injury-blighted career. 9) What grounds did you look forward to visiting, and vice-versa, what grounds did you fear? I always enjoyed a visit to Tynecastle. It’s nice to head into the Lion’s Den and whilst it’s not a particularly impressive ground, the atmosphere certainly can be. I stopped fearing going to any ground after the last time I went to Parkhead and Ibrox. The apprehension wasn’t due to the football either. I doubt I will ever visit either of those grounds ever again. I’m a football fan and have no time for all that hatred. 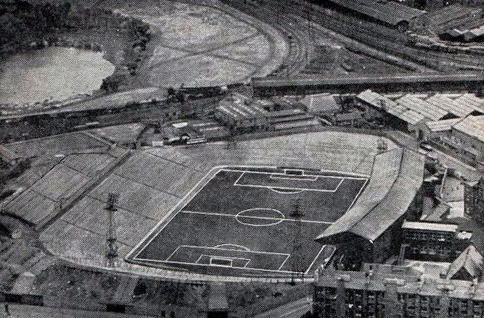 10) Any grounds (long gone) that you miss visiting? 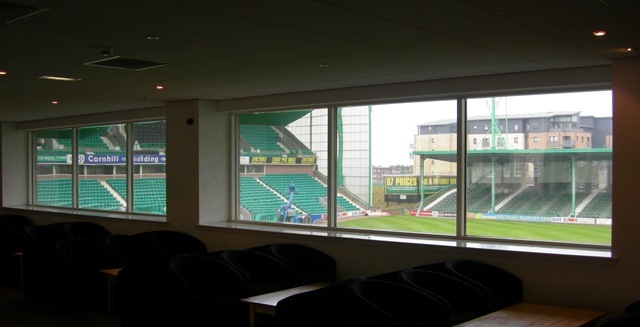 Being a distant fan, the vast majority of my games in Scotland over the decades have been at Easter Road. There is one Scottish football ground I miss however and that’s the ‘old’ Hampden Park. I just used to love the atmosphere of that place whether it was watching Hibs or Scotland. It’s a great shame to see the bland stadium it has become these days. On another note I’ve always been curious about the old Third Lanark ground and fancied a snoop around there one time. If I had a time machine I’d like to visit somewhere like Logie Green too! 11) Favourite Hearts match attended? Another game from recent times. The Gary O’Connor late winner derby with the good guys down to ten men – purely for that moment and the celebration with a good mate in the East afterwards! 12) Favourite pre/post match watering hole? I’m probably in a minority but I had a lot of affection for The Cabbage and Ribs – warts and all. I think this was purely because I met so many Internet Hibbies in there, one or two who have become treasured and close friends. I’ve always been a bit of a ‘roamer’ before the games though. I’d just as likely be found up the town in The Guildford Arms on a Saturday lunchtime before taking a brisk walk down London road to the Heavenly Boulevard for 3pm. 13) Do you have any pre/post match superstitions? Not really though some have called me a lucky charm when I get back for a game in Edinburgh! I think the last three times I’ve been to see the Hibs we’ve scored four on one occasion and five on the two others! I’m happy to accept that mantle! 14) Should the East Stand be built soon/if ever? Of course yes. I think the club is a little unfortunate in some ways with the recent financial climate as clearly plans were solidly behind redevelopment. As things are, I’d enjoy seeing Hibs finish off the ground when the recession eases a degree and the price of materials becomes realistic again. 15) Where do you see Hibs this time next year? It’s so difficult to predict, what with the difficulties Mixu has had in establishing himself in the manager’s role. Two weeks ago it seemed like the end of the road for the big man but who knows, after two wins and dare I say a couple more things could be quite different. We football fans tend to be a fickle bunch. It depends so much whether he is still in the job having learnt from a few of the mistakes of the past or in the choice of a new man. I’d reasonably optimistic though as I do believe we have some decent players in the squad. This situation reminds me so much of one’s I’ve seen generally over the years in football – a team with practically every play under-performing can suddenly pickup some confidence and quickly everyone looks a player again. I wouldn’t be at all surprised if this happened with Hibs. 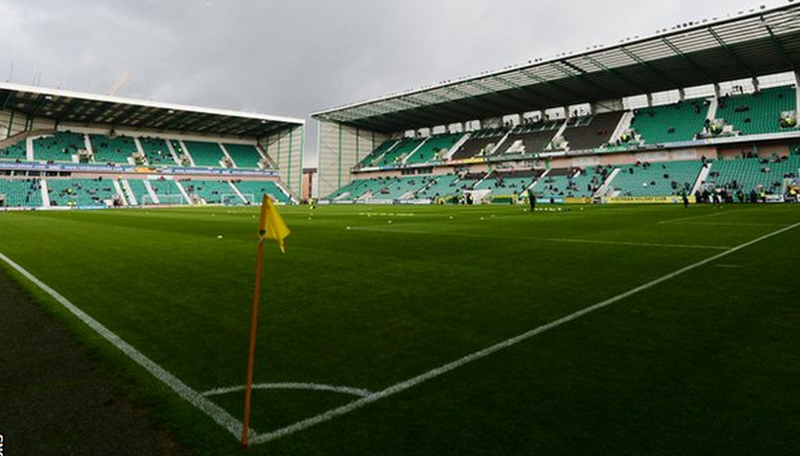 16) East, West or FF – Where do you watch Hibs from now? In days gone by where did you sit, stand? I’m a bit of a migrant these days and will tend to sit where friends are when I’m up for a game. My preference has always been up in the West though. For so many years in the old North stand I never went much place else and always used to find it reassuring to sit up there at the football, back home, with the cranes of Leith docks in one direction and Arthur’s Seat in the other. How many other places could offer such a magnificent view? 17) Dreamtime: In your playing days which player did you want to be? Outside of Hibs, Denis Law – no question. I was also a huge fan as a youngster of Peter Cormack and Alex Cropley amongst a few others. My big dream was to score the winning goal for Scotland against England! 18) Reality: In your playing days which player did you actually resemble? Denis Law because I used to imitate him! I played up front in the main and scored quite a few goals at a good level of amateur football. I used to watch those two and notice how they would arrive in the right place at the right moment to be on the end of a cross or a through ball. I was pretty quick and a good dribbler with close control. My hour of glory was scoring eight times in a 13-1 victory one Sunday morning – mainly because one dafty kept playing me onside! 19) Everyone sneaked into ER at some point. What was your way in without paying? I’m in the minority then! No, I don’t think I ever managed that feat. As a teenager though I had a job at Trent Bridge Cricket Ground and luckily it was the same gatemen on the turnstiles that operated at Nottingham Forest, Notts County and even Nottingham Race Course! I didn’t pay a cent for around two seasons and became pretty expert at slipping over a turnstile whilst the supervisor was looking the other way. They’re probably all passed on now but cheers lads! 20) Why do you follow Hibs? The greatest question of all. This is a magical thought for me because it travels much further than just football. Hibernian Football Club represents much of my family history in Scotland. The club is intertwined with the connection I have with the blood of my own up there and this will never, ever change. I am in awe of those people who formed our club and the reasons they did it. I believe this makes the club very special. The thought of the poor and needy in those early days being helped and assisted by the kindly Canon and his dedicated helpers is a very humbling one. 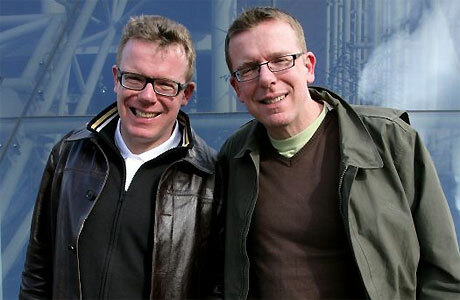 It’s an awful long time ago but I’d like to pay that little tribute to them here. Man…this is going to be difficult! There is so much gloom surrounding Easter Road presently due mainly to serious failings on the pitch. Manager, Mixu Paatelainen is deeply in the trenches due to his widely perceived poor tactical and motivational ability amongst other criticisms. I’ve not had the pleasure (?) of visiting Easter Road in a little while now but reliable witnesses tell me it’s turgid stuff being produced on a weekly basis currently. Not only are the fans not seeing a side wining a game or two they are being starved of entertainment too. This will not do of course and a somewhat poisonous atmosphere is steadily creeping over the old ground. Who can blame these fans? Certainly not me. It is difficult to see the club that’s in your heart going downhill at such an alarming rate with little too apparently arrest this worrying state of affairs. In spite of this I’m going to try and cheer myself up by looking on the bright side for a moment, difficult though that may be. The above is the latest in a steady stream of unwelcome headlines to be printed about the Easter Road club’s players. This is not reproduced with any sense of outrage nor is it a moralistic crusade but rather just resignation at the attitude of some modern footballers to their profession. In the linked story, Hibs goalie, Grzegorz Szamotulski was refused access to a flight home to his native Poland for a mid-season holiday because he was judged to have been drunk and not in a suitable condition to board the plane. A little nudge for any fellow Hibbies dropping by the site as I know some of you do regularly. Our good friends in Northern Ireland, NI Hibs are hosting one of their terrific tribute nights very soon, this time to the great Arthur Duncan. There are very few Hibbies that will not know of Arthur’s achievements with Hibernian. A stalwart of 610 games for the club on the left wing and latterly left back. Arthur had the sort of career that will likely never be repeated in the modern age of football. Remembering his days at Easter Road, Arthur was an old-fashioned winger with great pace, sometimes a little reckless with the final ball as we will all recall! Hugely effective though and a worthy addition to the armoury of talent available to the great Turnbull’s Tornadoes team of the 1970s’. Many will also look back and remember his way with the fans at that time too, a friendly wave and a little banter with Nijinsky from the touchline was a regular feature most games. Northern Ireland Hibs proudly carry the Hibernian flag for all of us in their home. I am always happy and grateful as a lifetime Hibernian supporter to see this. We should all be proud of them and offer them our support. Much like their hugely successful tribute nights to those Hibs legends, Lawrie Reilly, Eddie Turnbull and Pat Stanton, I hope this night will be a resounding success. I’m certain it will be. Well done all. Whether it’s a fallacy or not, Hibernian Football Club have a persistent image amongst some of being a team that plays with that much over-used expression ‘flair’. The notion of a good deal of style, flash and panache has surrounded the team over the years – even when it has clearly not necessarily been deserved. Currently the club has an uneasy battle with this image as new manager, Finn, Mixu Paatelainen shoulders the task of improving Hibernian’s fortunes with the considerable disadvantage of a less accomplished batch of players than have worn the famous green-and white jersey over the past few seasons. This situation being the result of the heavy sales of many of Hibs’ young and talented squad to be replaced by one or two arguably more humdrum professionals. As I write, it has been my observation that much criticism or certainly comment by the club’s fan base is directed at the lack of flowing football played at grass height. This opinion is probably understandable but the style (or lack of) is arguably necessary as the first team travels through a transitional stage.